Playoff time has arrived, my friends. Regardless of what team you might be rooting for, I don’t think anyone could argue that the Denver Broncos are having an impressive year. At the forefront of this franchise is the one and only Peyton Manning, QB extraordinaire. You could say I’m a little bit of a Peyton Manning fan. I know I’m not alone. I live in Indianapolis, home of the Colts, where Manning led the team for well over a decade and brought our team back from near-obscurity. 1. Know your craft, inside and out. Who will go down in history as the “greatest QB of all time”? There are a number of opinions on that one. But few players are students of the game like Peyton Manning. 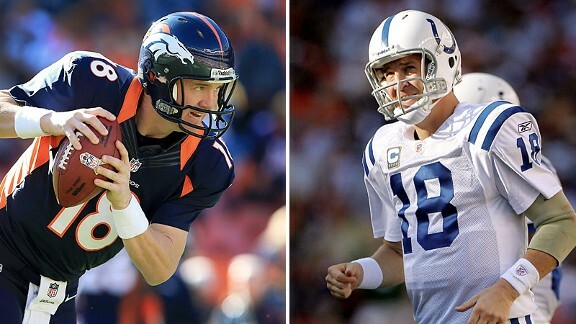 On the sidelines, you will see Peyton studying plays, reading the defense, anticipating what will happen next. Off the field, he watches film and studies his opponents to a degree that few match. How well do you know your role? Your team? Your company? Your industry? Your customer? As learning professionals, I think we can all agree that there is always something to learn. 2. Be open to coaching and feedback. I often wonder what a coach thinks about being Peyton Manning’s coach. Like a trainer leading a classroom full of SMEs, wondering, “What am I going to teach these people that they don’t already know?” But if you see Peyton on the sidelines with his coaches, you often see communication and dialogue. It’s a mutually respectful relationship. Even after being in our field for many years, we should always be receptive to feedback – whether about how we facilitate, develop content or lead teams. 3. Don’t let setbacks or mistakes define you. Peyton Manning will not go down in NFL history books, remembered for throwing the occasional interception. He won’t be remembered (negatively) for his neck injury, multiple surgeries or being released by the Colts. He will be remembered as a consistently impressive performer on the field. As a philanthropic member of his community. As an intelligent, well-spoken person who represented his team with class. The point here? Even when your project or role doesn’t progress the way you anticipated, don’t let that define your career path. Learn from the mistakes and move past the setbacks. Just like I wonder what it’s like to be Peyton Manning’s coach, I also wonder what it’s like to be a teammate. I mean – you’re out there with Peyton Manning. How does that NOT motivate a player to do his best? How are you raising the bar on your team? Do you motivate others to do their best? 5. Have fun and don’t take yourself too seriously. Let’s face it. He’s a funny guy. We cracked up watching him host Saturday Night Live, and he has been on more television commercials than I can list. The guy has a good sense of humor, and can poke a little fun at himself. That’s important for a leader. Lighten up – have a little fun! So whether you’re a facilitator, instructional designer or training manager…or maybe you’re not even in the learning field at all…consider these leadership lessons and what you can bring to your role, team and organization.